The development of innovative artificial neural networks is the objective of a research project supervised by Prof. Jacek Tabor from the Jagiellonian University in Kraków which has just received funding as part of the TEAM-NET competition organised by the Foundation for Polish Science. Artificial Intelligence and its applications are the topics which have been increasingly stimulating our imagination. Works on Artificial Intelligence (AI) have been carried out since the 1950s. Initially, IT specialists were inspired by neurons which are nerve cells able to collect, aggregate and transmit various types of information. As further research on AI continued, the scholars departed from the attempts to imitate neurons, but we can currently witness a huge come-back to the original idea. The difference is that currently scientists do not develop models of single neurons but entire artificial neural networks, similar to the systems functioning in the retina or brain. “In IT terminology, neural networks are software structures and systems whose operation is similar to the processes taking place in the human brain. 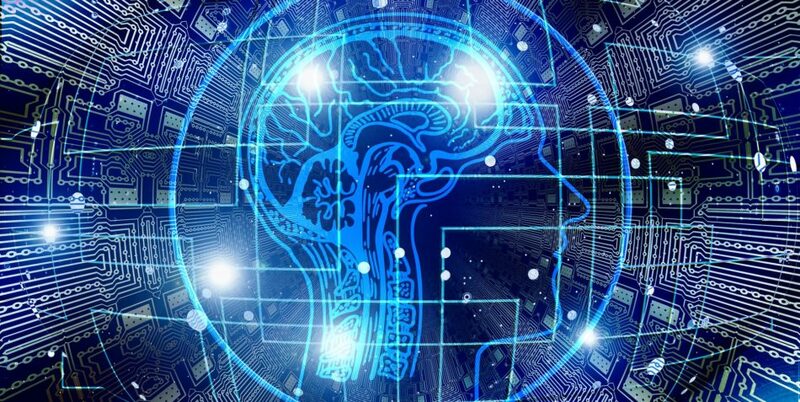 We currently have a deeper insight into human brain functions than in the past, so we can shift the knowledge to other fields and perfect Artificial Intelligence systems, while eliminating numerous existing limitations in classical machine learning,” said Jacek Tabor. The Professor mentions such limitations as extremely time-consuming, and thus energy-consuming machine learning, and the fact that a machine requires an enormous training set to learn, for example, to recognise and describe photographs. “For a person to learn to classify photographs correctly (e.g. X-ray images), it is often enough to view several dozen example images, while a computer needs even a million photographs to complete a similar task. This is a tremendous difference and a serious problem, as we do not always have a sufficiently large stock of training data. Of course, once a computer learns to recognise photographs, it usually becomes more efficient and effective than human beings in this respect. The machine learning process itself is an obstacle,” Prof. Tabor explained. The extended machine learning time results from the fact that computers learn in a complex way, analysing all the input data in detail. In contrast, the human brain naturally simplifies the data, and selects those items which are substantial to the learning process. Another issue related to machine learning is the susceptibility of computers to erroneous examples. The human brain will automatically reject the photo of a cat placed amongst palm X-ray images, while a computer will analyse this image with as much attention as in the case of palm X-rays. “For those reasons, all over the world scientists who deal with AI return to the inspiration drawn from the cognitive processes taking place in the human brain. Our research fits in very well into this worldwide trend. Our goal is to develop artificial neural networks which will serve local recipients, i.e. Polish companies or start-ups,” asserts Prof. Tabor. The potential ways of applying neural networks or, in a broader sense, Artificial Intelligence are in fact unlimited. AI is commonly used today, for example in speech recognition software, text translation and image processing. It is estimated that in the nearest future AI will be applied in precision medical diagnostics, autonomous vehicles, or in forensics, in the area of automatic photograph description and identification of people and scenes. Comprehensive works on the development of Polish neural networks, supervised by Prof. Jacek Tabor, will be carried out by six research groups at the Jagiellonian University’s Faculty of Mathematics and Computer Science, Faculty of Physics Astronomy and Applied Computer Science, and Faculty of Management and Social Communication. The team will be composed of scientists specialising in IT, software development, statistics, biostatistics and cognitive neuroscience. They are due to receive over PLN 19 million for their research from the Foundation for Polish Science as part of the TEAM-NET Programme. The Foundation’s TEAM-NET Programme allows the funding of interdisciplinary scientific research carried out by a network of cooperating research teams managed by renowned and experienced scholars. The aim of the Programme is to support innovative scientific research in Poland, and fostering trans-regional cooperation between research units, as well as developing competencies related to utilising the available infrastructure and research services. Therefore, the entities applying for grants in the TEAM-NET competition must be representatives of at least two scientific disciplines, with preference given to consortia composed of entities based in at least two provinces. As the intention of the Foundation for Polish Science is to support not only experienced scholars but also researchers in the early stages of their careers, each team in the consortium should have at least three students, PhD students or junior post-doctoral researchers. According to the competition assumptions, the budget for each research project submitted can amount to PLN 3.5 million per one team, for a period of 36 months. The funding may be granted for a period between 36 and 48 months. The call for proposals for the TEAM-NET Competition was held in October 2018, and the results were announced by the Foundation for Polish Science in March 2019. A total of 39 projects were proposed, out of which five received grants for a total amount of PLN 105 million. The winning projects reached the highest scores following their substantive evaluation. The TEAM-NET Competition is held by the Foundation from EU Funds, within the European Regional Development Fund as part of the Smart Growth Operational Programme.